USB Kit. 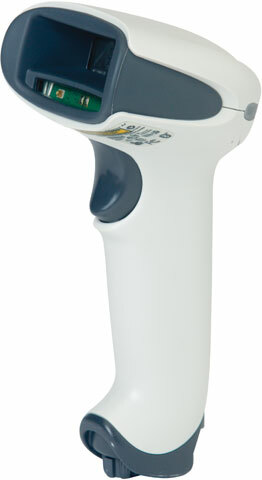 2D Imager, Standard Range Focus, PDF417, EasyDL. Includes 3m straight USB cable. Color: Black. Does not include stand. At the forefront of Honeywell's imaging technology, the Xenon area-imager is in a class of its own. It is the perfect scanner for document processing and healthcare applications due to its ability to read any type of barcode be it linear (1D), stacked (PDF417), 2D (Matrix), and postal codes. It can even take pictures! You would especially want to use the Xenon in electronic manufacturing situations for its ability to read very small barcodes as found on most circuit boards. The Adaptus imaging technology provides unparalleled reading speeds, omnidirectional scanning, and a high tolerance for damaged or poorly printed codes that will increase the efficiency of any process. If you require more mobility and cannot be tethered to a PC the Xenon 1902 is the same device in a cordless option. My client uses it to scan promotions for their products from various websites.